Next month, One Of These Days, a retrospective looking at 50 years of Pink Floyd performing in Italy, opens in Padova. The exhibition, which is being held at Galleria Cavour, on Piazza Cavour, opens on July 21st and runs until September 9th, 2018. 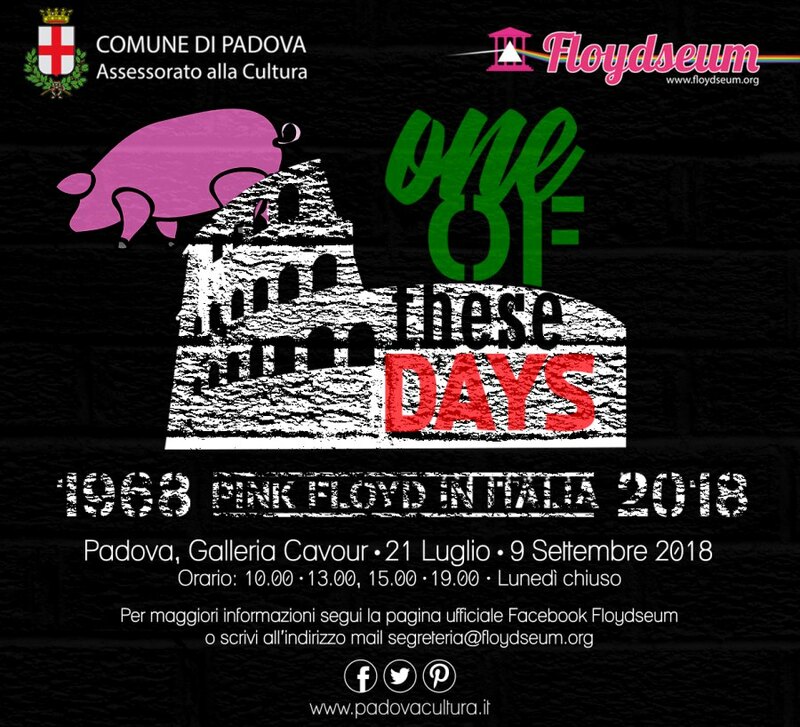 The event is being staged by The Cultural Association Floydseum, the non-profit organisation consisting of some of the best known Italian collectors of Pink Floyd material, who aim to spread the word of all things Pink! They will be exhibiting photos, posters, written testimonies, records and rare memorabilia relating to the band's many appearances in Italy.